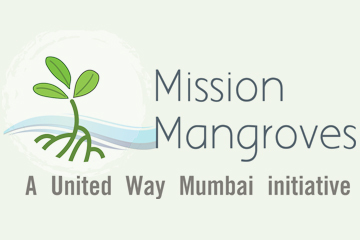 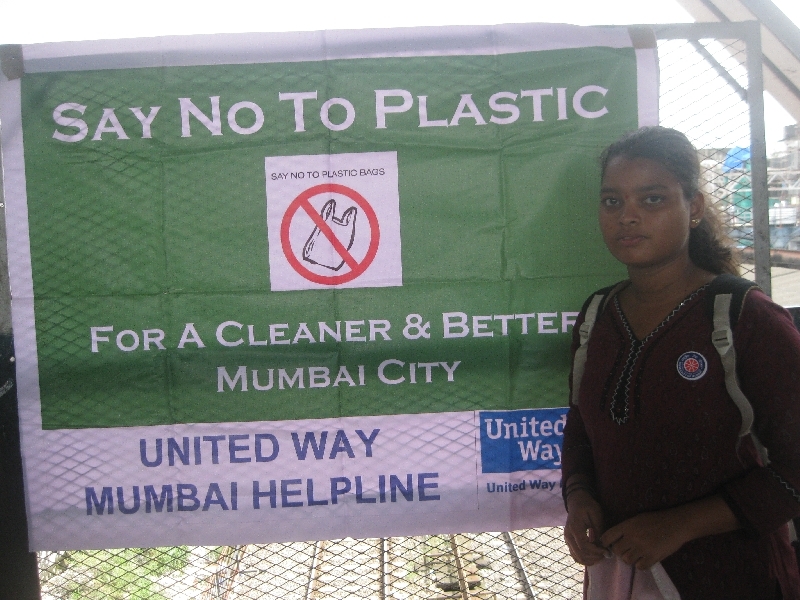 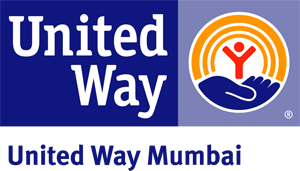  United Way of Mumbai organized Clean Railway Stations Campaign in partnership with Western Railway in August 2011. 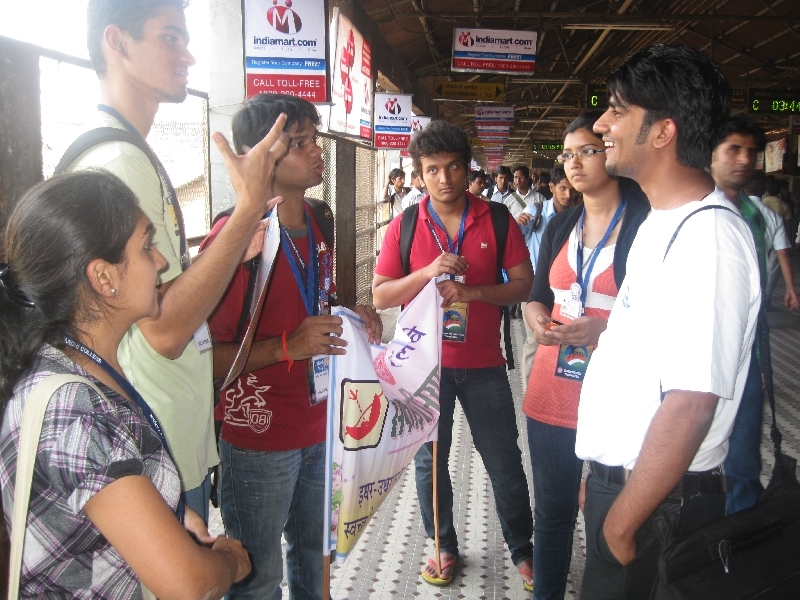 More than 100 Volunteers from Balbharati College, Vivek College and K G Mittal College participated in the campaign. 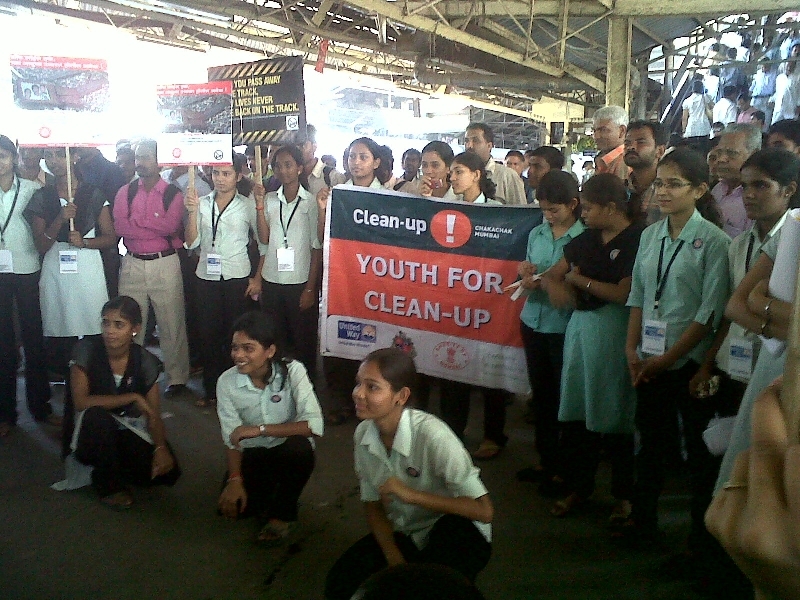 Clean-Up Awareness drives organized at Bhayander, Kandivali and Malad Railway station. 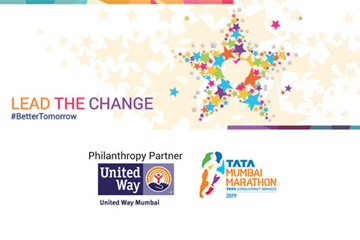 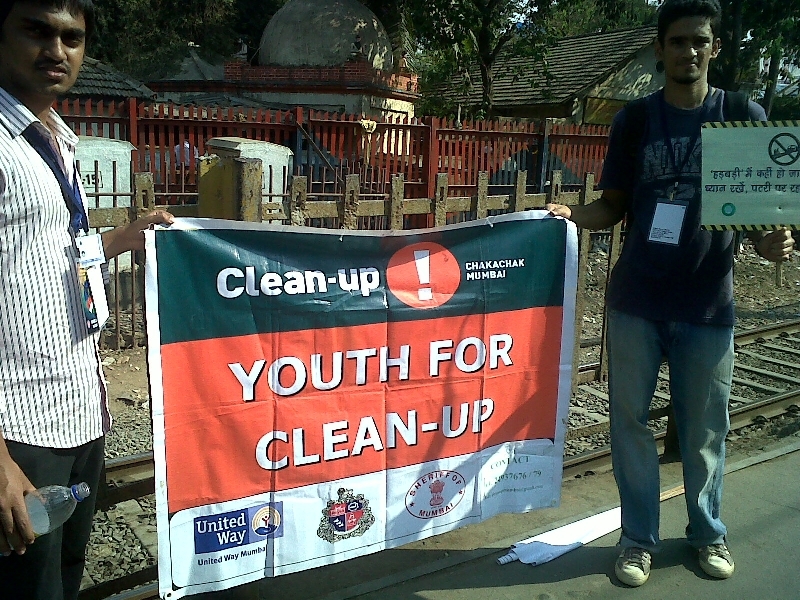 United Way of Mumbai volunteers aimed to motivate commuters for keeping the railway stations clean. 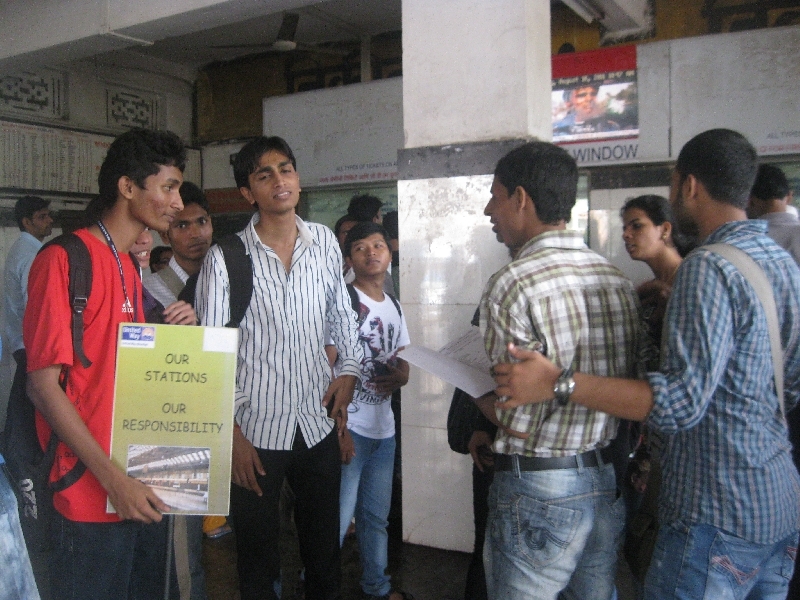 Message of cleanliness conveyed through street play performances, poster exhibition and one to one interaction with daily commuters.